PITT MEADOWS, B.C. — Jaguar Land Rover Canada says its million-dollar investment to give prospective buyers hands-on experience with its products is paying off handsomely. Like other luxury automakers such as Porsche and Mercedes-Benz, the British-based OEM stages events that allow would-be customers to push the envelope a little to demonstrate its vehicles’ performance potential. Where it parts company with competitors is by not including existing owners. The automaker is doing five Art of Performance events in Canada this year: Vancouver; Calgary; Montreal; and two in Toronto. 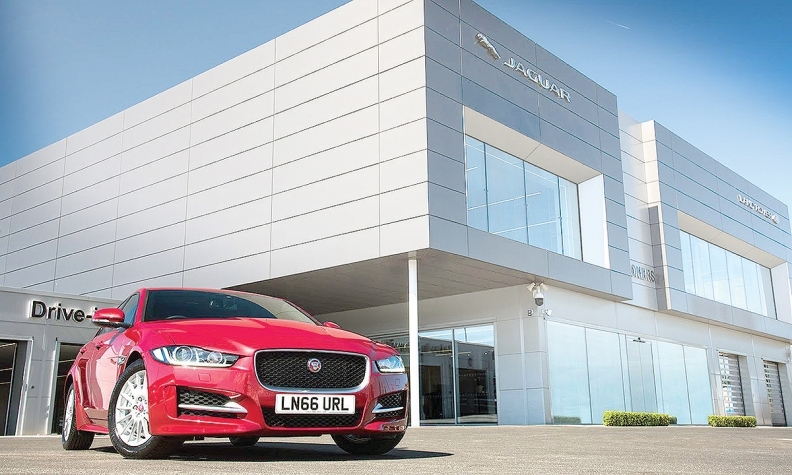 The carefully structured events give drivers a chance to whip powerful Jaguar F-Type sports coupes and XE sedans, and the new F-Pace sport utility around tight handling courses to demonstrate their agility. Meanwhile, staff from Land Rover’s permanent off-road school at Montebello, Que. (which hosts free courses for new LR owners), chauffeur them through hair-raising demonstrations of the legendary marque’s sure-footedness in extreme situations. Public Relations Manager John Lindo says the events have drawn 2,700 people this year. The program is not cheap, he says, costing roughly $500 per participant, which translates to more than $1.3 million this year. The company’s managers in Canada and the UK are big believers in “experientials,” he says.